One year ago, a shootout in a trendy L.A. club left bartender Harper Flynn’s boyfriend dead, Sheriff Deputy Aiden Garrison shattered, and two gunmen engulfed in flames. But if the case is closed, why is Harper still afraid? Certain that a third gunman escaped and is targeting survivors, Harper pins her last hope on the only person willing to listen. But a traumatic brain injury has left Aiden with a rare and terrifying disorder: a delusion that random people are actually the same person in disguise. As Harper and Aiden delve deeper into the case, Harper fears that the attack might have been more personal than anyone believed. And now her only ally is unstable, paranoid, and mistrustful—because he’s seeing the same enemy everywhere he looks. 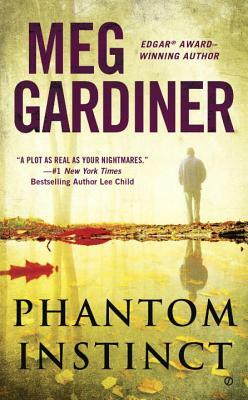 Meg Gardiner is the Edgar® Award-winning author of the Evan Delaney series: Kill Chain, Crosscut, Jericho Point, Mission Canyon, and China Lake. Her other novels include The Shadow Tracer, Ransom River, The Nightmare Thief, The Liar’s Lullaby, and The Memory Collector. Originally from Santa Barbara, California, she now lives in Austin, Texas.